This may sound like a broken record — no pun intended — but, yes folks, Lionel Messi, aka The G.O.A.T., as we like to call him, has done it again. 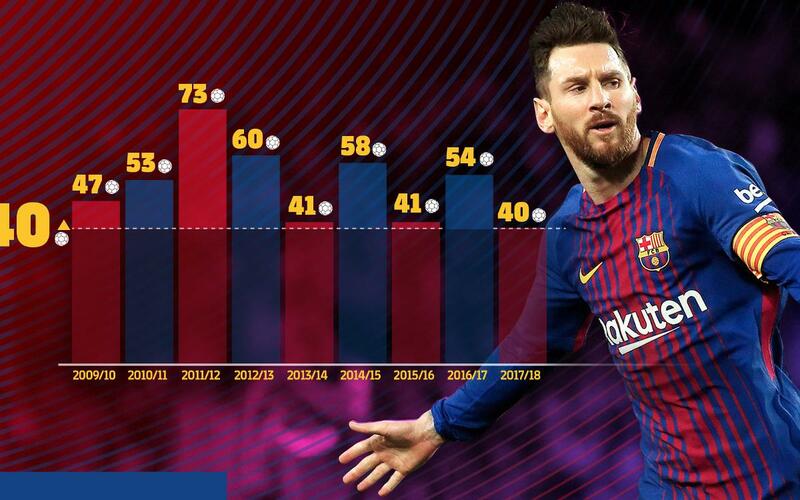 After scoring in the 5-0 victory over Sevilla in the Copa del Rey final, Messi has reached the 40-goal plateau, counting all competitions, for the ninth season in a row. 2017/18 — 40 . . . and counting! Messi’s recent goal spurt has brought him into second place in the race for the Golden Shoe, which is annually award to Europe’s top domestic league goalscorer. Messi has 29 goals in La Liga, two behind the 31 of Liverpool’s Mohamed Salah has in the Premier League. Messi has four Golden Shoes to his name, which is tied with Real Madrid’s Cristiano Ronaldo for the most all-time. And at this stage of the season, Messi appears primed for a possible fifth.